Wave 2 Tri-Band creates three high-speed Wi-Fi bands, and powerful XStream processing keeps each one running smoothly. Smart Connect automatically places each device on the best available Wi-Fi band for better connections. 4-Stream and NitroQAM work together to get your devices running faster. 4-Stream adds an extra data stream to each Wi-Fi band for four total streams per band, and NitroQAM helps each stream process data more quickly. Combined, these two advanced features increase total throughput by 67% compared to standard Tri-Band routers, letting you game at the highest settings while streaming live events without slowing down your Wi-Fi. With MU-MIMO technology*, the Archer C5400 delivers four simultaneous data streams, allowing all connected devices to achieve speeds up to 4X faster than standard AC routers. 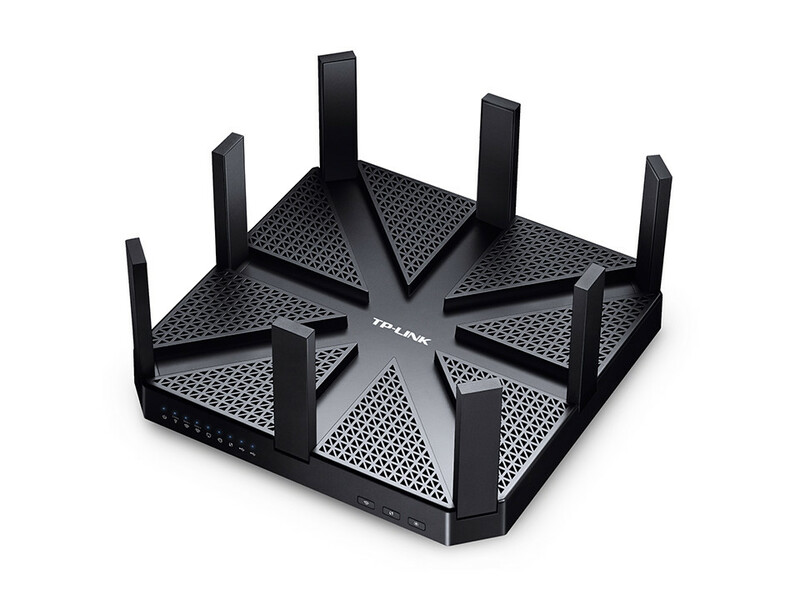 This ensures gaming consoles and mobile devices always get the best possible Wi-Fi connections and everyone can game at the same time without lagging. Enjoy Everything You Love Most. Especially Gaming. Jump into the action and stay there with the Archer C5400. Wave 2 Tri-Band creates three high-speed Wi-Fi bands. Now you can dedicate an entire band to gaming without short-changing your other devices. For lag-free performance on game consoles, 4-Stream and NitroQAM greatly increase the router’s throughput. Eight dual band antennas send strong Wi-Fi signals up to 10,000 sq. ft. Beamforming technology detects the locations of your connected devices and concentrates wireless signal strength toward them. This enables you to enjoy your devices anywhere in your home, from your favorite spot on the couch to the comfort of your bed.